Incase you missed it we are having a super crazy out of our minds flash sale until the 15th. 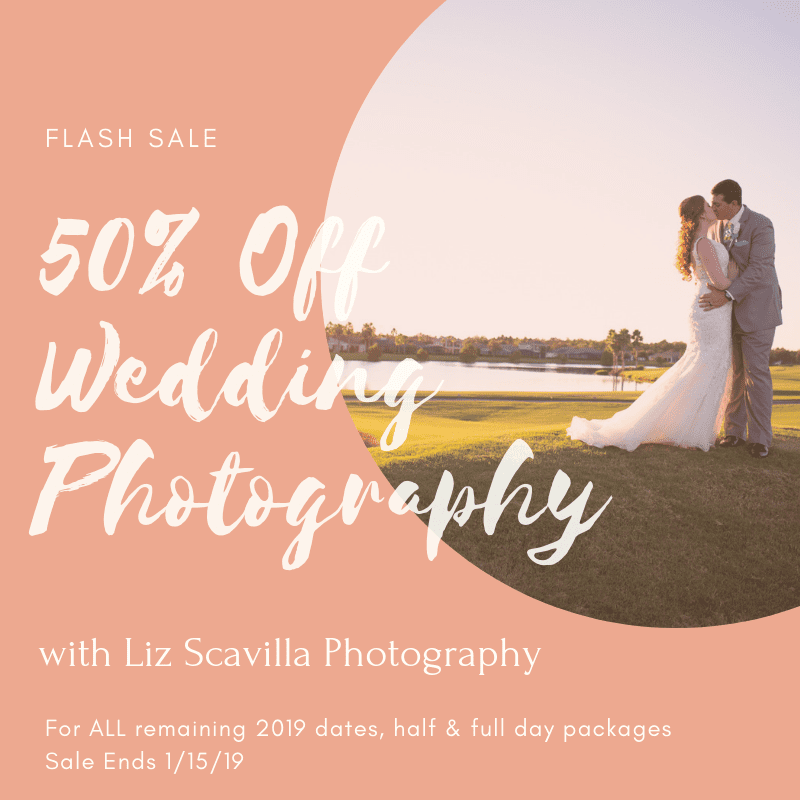 Take advantage of huge discounts on our half and full day wedding photography packages for all of our Florida Brides! Half Day (up to 4 hours), normally $1600, now only $800! Full Day (up to 9 hours), normally $3000, now only $1500! Subject to availability. Call us today to secure your 2019 wedding date! 386-866-1053 or liz@lizscavilla.com, or use this super awesome contact form by clicking here.